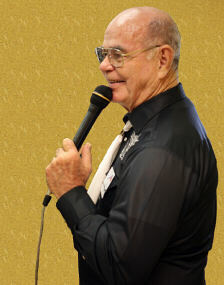 Gene McCullough is currently the caller for the Hoedowners Pairs & Spares Square Dance Club in Casselberry, Florida and the Honeybees in Deland, Florida. I have been calling since 1965 and recorded the singing call Shantytown on the TOP label. I belong to the American Callers Association, and am a past president of the National Capitol Area Square Dance Leaders Association, and the Central Florida Callers Association. I founded the International Dancers Association when I was in the Phillipines.